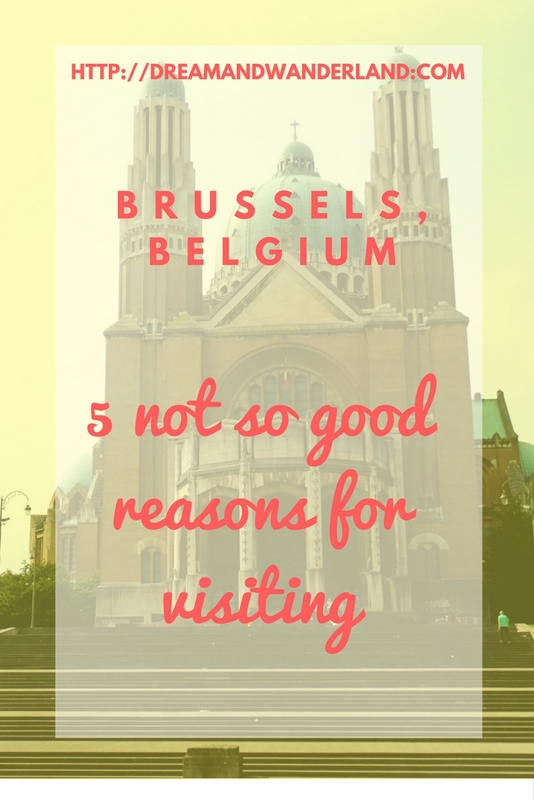 Brussels: Five Not So Good Reasons For Visiting! 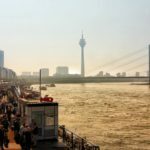 Have you ever been to a city and did not find any kind of connection to it? It feels a bit like “yeah… nice place but…”. Nothing, perhaps even a little bit of disappointment. I recently had this experience with Brussels. As far as I can remember I never had this feeling before. Some cities I like more than the others but that I do not like a city at all is new for more. 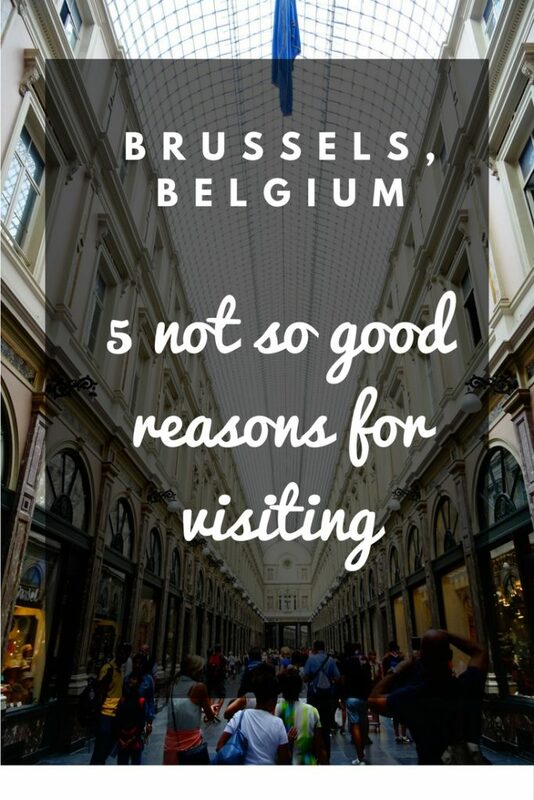 That is why this article will be about five not so good reasons for visiting Brussels! But first things first, my teachers in school and during my studies always said that I can criticize as much as I want but start with the good points first ;-D. Well, I believe it is just fair to start with the good reasons for visiting Brussels. 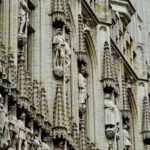 The Grand´Place is more or less the starting point for any kind of tour. 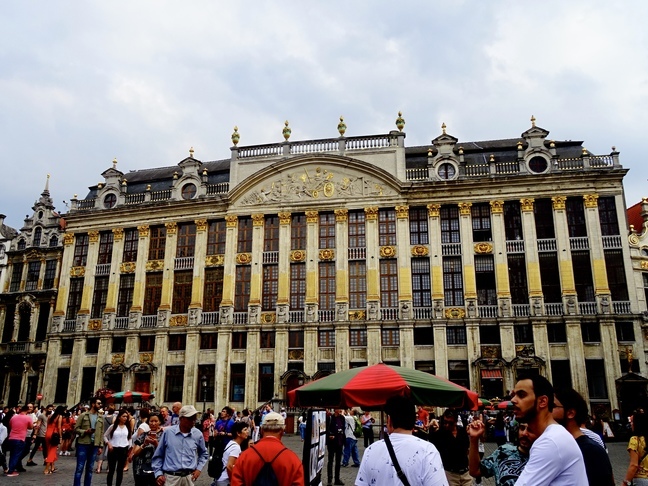 Whether you explore Brussels by your feet, bus or public transport system the Grand´Place is the best way to start with. 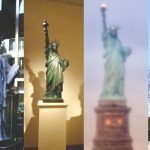 It will blow your mind immediately when you get the first glimpse of it and continues when you stand in the center of the place and turn around yourself. The buildings around the place are the city hall, the guild houses, and the Maison du Roi. 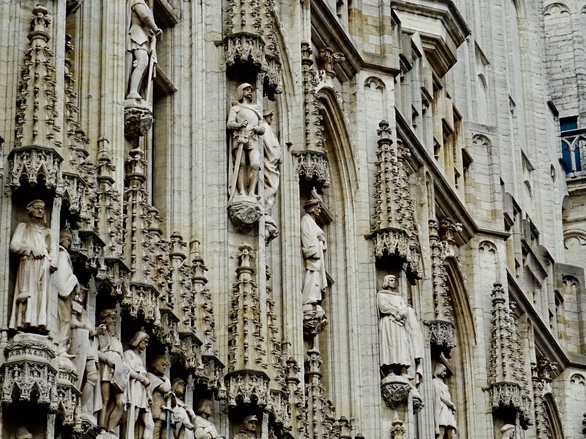 They are incredible in its architecture and appearance. Triumphal Arch impressed me the most. The guide of the sightseeing bus tour said that this is one of biggest arches in Europe. It is situated at the Parc du Cinquantenaire and consists of three arches. 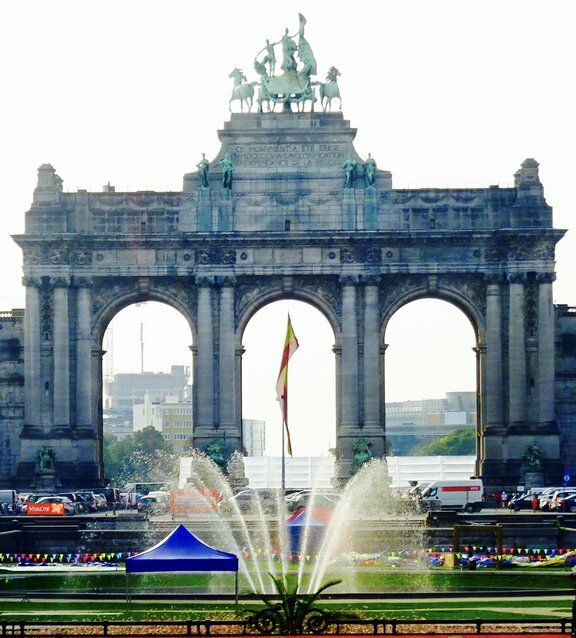 At the top of the three triumphal arches, you can see a bronze quadriga and according to visit.brussels, it has an unbeatable sweeping view over the whole of Brussels. 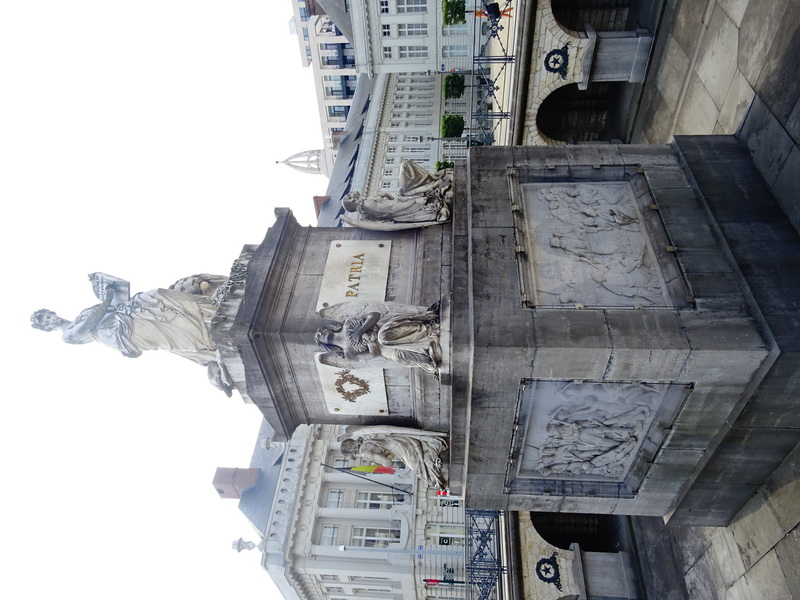 The park and the Triumphal Arch were built in 1880 because of the 50th Jubilee of Belgium’s independence and are located in the European Quarter. Unfortunately, I had not the chance to walk through the park itself. But if you have more than just one day I believe it would be worth it. Especially, if you look for a little time for yourself, some piece and just a calm place. 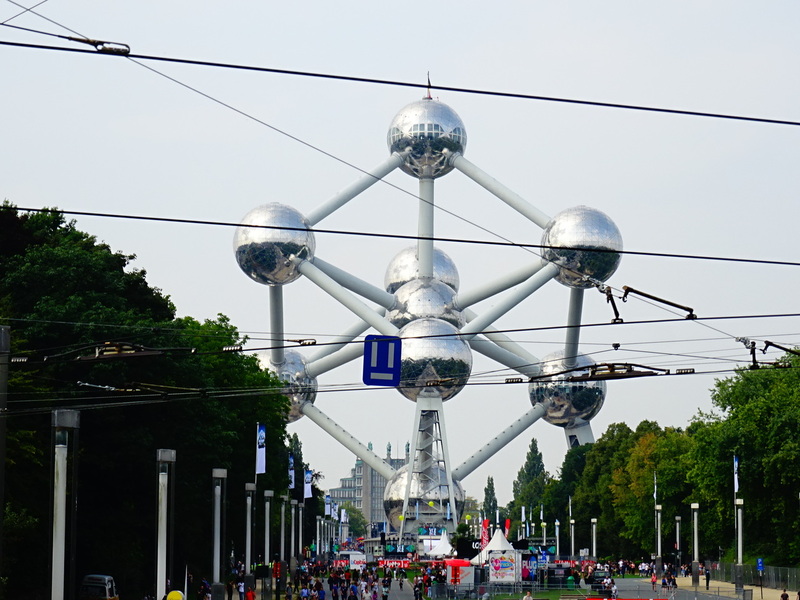 Maybe the most popular icon of Brussels. 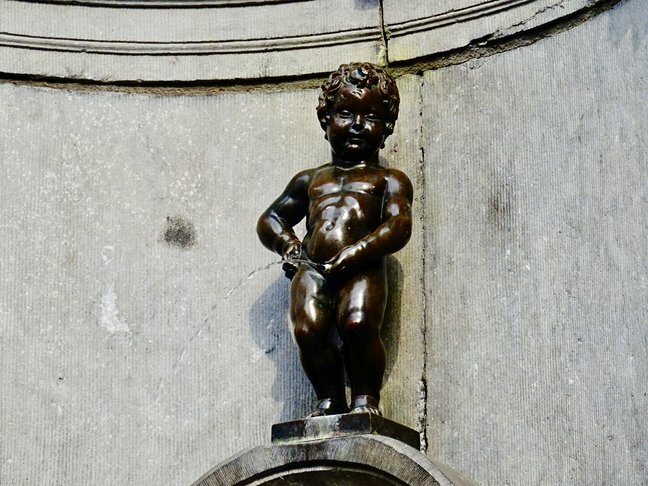 The Manneken Pis is a symbol for Brussels lack of respect as far as several legends tell. This little statue is from the 17th century, 61 cm tall, and plays a huge role in the annual calendar of the city. At least four times a year he even gets dressed up to celebrate different occasions together with the people of Brussels. His wardrobe consists of approx 800 costumes and can be viewed at the Maison du Roi. 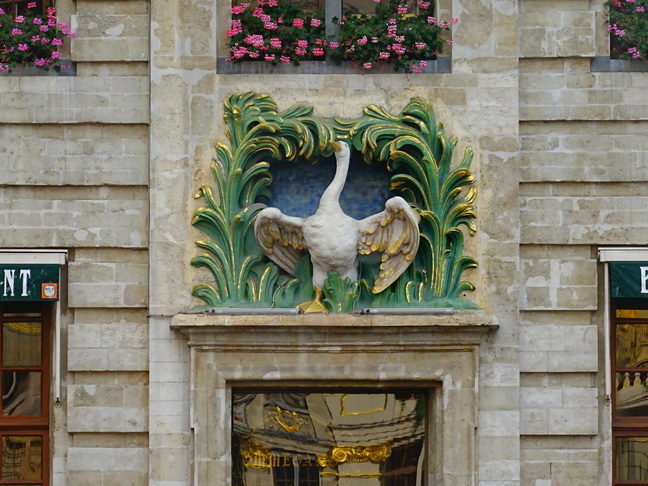 By the way, his little sister “Jeanneke Pis” can be found nearby at the entrance of the Impasse de la Fidelité. And their dog “Zinneke Pis” does his business at Rue des Chartreux 35. Don´t miss some extra facts about “Family Pis”. Get them directly to your Inbox. Brussels is not only the Capital of Belgium and of Europe but it seems it is also the Capital of Comics. Everywhere you look at you can find some paintings, pictures or comics. At the walls, in the Metro, in the Museums. All over the city statue and paintings of comic characters can be found. I personally love that kind of art and it does not matter if its comics, graffiti or other arts as long as they can be found everywhere in the streets. For Comic lovers, there is a special offer. On the traces of TinTin, Lucky Luke or Asterix the comic strip route leads you to the city center and to 48 different paintings on walls with scenes from different famous comic strips. 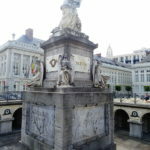 A map is available at the tourist information for instance at the Grand´Place or at the Metro: Bourse. If you like to read more about the Comic strip trail, feel free to visit S Marks The Spots to read through a brilliant article about the trail. 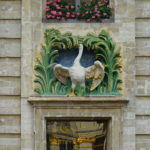 Next to the Grand´Place is the Gallery of Saint Hubert situated. It is a 223 m long shopping passage with a lot of small shops, cafés, patisseries and a lot more. The gallery consists the Galerie du Roi, the Galerie de la Reine, and the Galerie des Princes. The glass ceiling was unique in former times and was one of two in 1846 in whole Europe. The whole construction is just spectacular. This is the way to shop around. 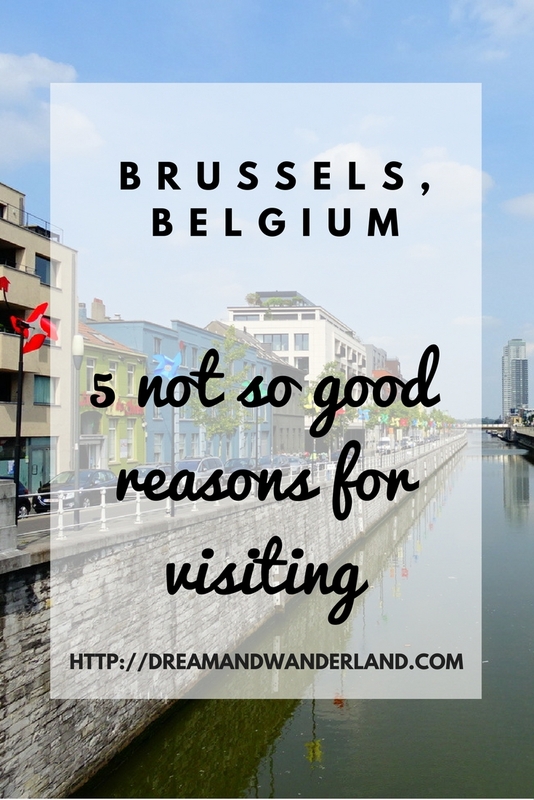 Of course, these are not the only good reasons for visiting Brussels. But the main ones which I liked the most. 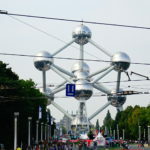 A few other sites, which have to visit are the Atomium, the Place des Martyrs, Basilica of the Sacred Heart, and the European Quarter with the European Parliament etc. 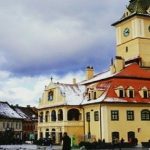 You can reach the most of these attractions very easily as they are within walking distance in the city center. A few are a bit more outside, especially, in the northern part of the town. But no worries, whether you do a sightseeing tour with one of the buses anyway, or you can use the metro system very easily. 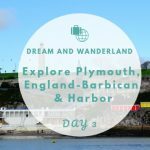 Normally, I love to do these sightseeing tours. 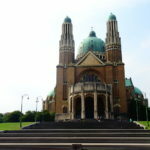 Especially, when the different attractions are not within walking distance, it is such a convenient way to get around with a Hop On Hop Off bus and learn more about the city and its sites. That is why I always check if there are possibilities like that. And Brussels has such an opportunity. The City Sightseeing Hop On Hop Off tours are a global brand and I never had a bad experience although I did several tours with them in a lot of cities. And the best is you get a two Euro discount if you buy your tickets online plus a 10% discount if you still have the receipt from a previous tour. Unfortunately, here in Brussels, I had my first and the worst customer relationship experience ever with a sightseeing tour. Why? Because there is no way to use online purchased electronic tickets at the buses. You HAVE to print it out beforehand. WHAT???? Everywhere else in the world I had a tour with them it was not a problem at all. And here in the capital of Europe, it is not possible??? Obviously, this is nothing for spontaneous travelers as I am or you lose the online discount which is also not nice. Why should I buy the tickets online when it is not possible to go on the bus with them. Therefore, make sure that you print out your voucher before you go anywhere or leave the two Euro discount off the online purchase and buy the tickets directly at the bus or at the tourist information. Good luck for me that the Marriott and her staff were so friendly to lend a helping hand. They found a way to print out the voucher for me. Then I could exchange it for the ticket in one of the tour buses and could continue the sightseeing tour. The Palace of Justice is an iconic building from the 1860s. Unfortunately, it is under construction at the moment. When I passed this place by bus I could get a glimpse of a view over whole Brussels which would have been a very cool conclusion of this day. But when I hopped off the bus and went back to the Palace of Justice I did not get exactly what I expected. It was a view, yes, but some roofs in the front shortened the view a lot. It was a kind of disappointing as I had not the whole view. 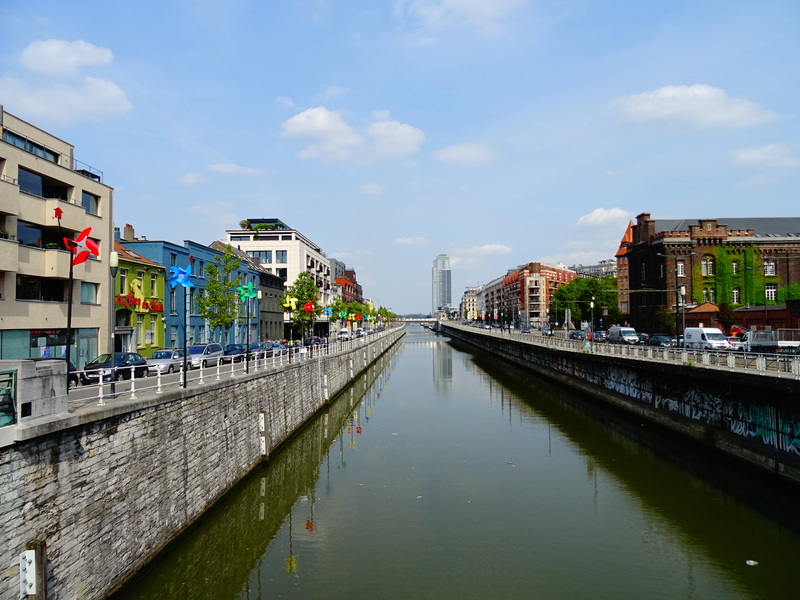 I should have gone to the “Mont des Arts” as it was recommended by another traveler. Everyone is enthusiastic when it comes to Belgium Waffles. So I thought I have to try one, too. I mean, hey, not that I could prepare waffles by myself but if everyone is so hyped about it I believed I should have tried them at least once. So I did. And it was not the best experience. They were very dry and everything but fluffy as a delicious waffle is supposed to be. Maybe next time I should try one of those Waffles from the Waffle Factory. The places around the most popular attractions are so full of people that you can barely walk through them. The Grand´Place and the Manneken Pis in particular but also the Atomium are packed with tourists and it is very hard to get a picture or even a glance on it. But that is the way it is. You probably are prepared of crowded places like that. A better choice might be one of the parks to get a bit time for yourself. Brussels is indeed a beautiful city. No question about it BUT for any reason it did not catches me. I was missing a sort of flair and atmosphere. Probably, I should be careful saying this but on my first impression it felt like a sort of copy of Paris but without this special charm. People from Brussels will hate me when they read this, I believe. Maybe the time was just too short to find the magic and catch it. I believe with more time, maybe a whole weekend, time to explore the city in more detail and concentrate on different attractions and give them enough time, you will feel a bit more connected to it. It might be a case of fall in love with the second or even third sight. 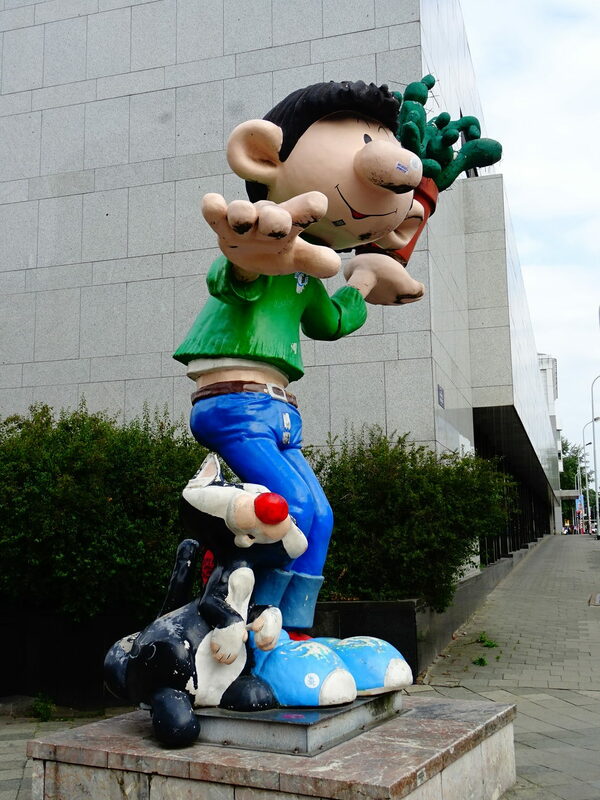 However, I consider going back one day to walk the comic strip walk and find more good reasons for visiting Brussels. What about you? If you do not like a place at the first glimpse do you give them a second chance? Tell me more about your opinion in the comments. I would have never thought that the waffle is bad. That arch looks amazing tho. 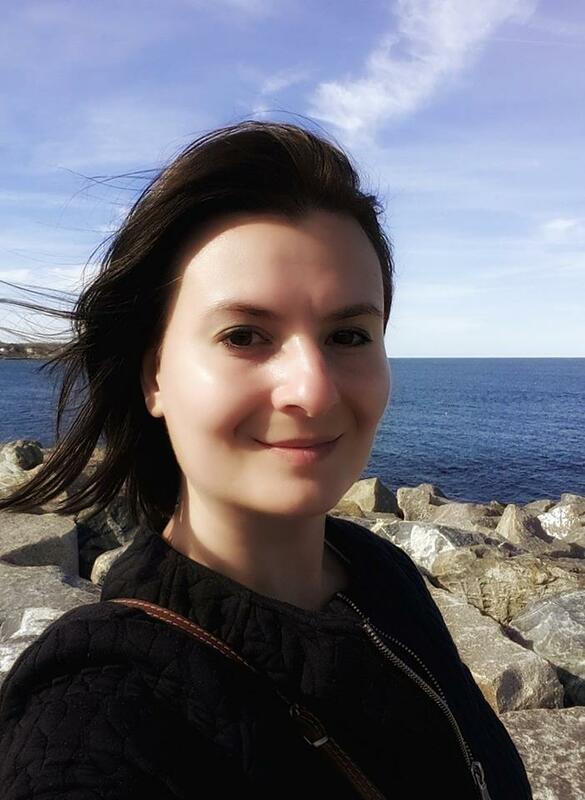 Hi Danie, I think it is the same with a lot of other things… whether you can or you can´t. This waffle shop where I got mine couldn´t do it. Or maybe I just had bad luck with mine. Too bad… but I indeed had better ones in the past. It’s great you’re honest with your articles and kept it balanced with positive and negative 🙂 Your photos are gorgeous by the way! I’m really surprised about the hop-on-hop-off bus thing, you would think in the digital age you wouldn’t need to print out a ticket! Crazy. I thought the same. I couldn´t believe that the driver is not able to read the electronic version or the receipt that we have paid for the tickets. Unbelievable! If I have time to go back, I will give it a second chance. But the place won’t be in my first list to visit again. IF. I understand what you mean. It isn´t on mine either but just in case there is an offer to go back I would do it again and see if it gets better in time. That is a really interesting post! I actually had a similar experience with Hamburg a couple of weeks ago. It’s a really creative idea to write about it though and I like that it’s not always like “oh so amazing” / “you have to see” etc. 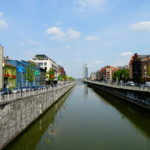 I have been to Brussels twice and I have to say I really liked it! The first time I went right before Christmas and it was amazing! They played operas at the Main Square and everything looked just so festive (with all the chocolate it kinda does anyways but it just fit perfectly). I also love all the institutions from the European Union. And Belgium in general has some really good breweries so that’s another plus I really like. Hey Kate, It´s awesome that everyone has an own opinion. I can feel you with Hamburg. It might be a beautiful city in a neutral and objective way but also to me it keeps me completely unemotional if I think about the times I spent there. I am glad that you had an amazing time in Brussels. I wish I had more time to find all the “cool” places. 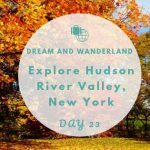 It’s funny how some people can love a city and others just think “meh.” It has happened to me before, but I am always willing to go back and give it another try! A shame that you didn’t like it, I just loved it when I went there! 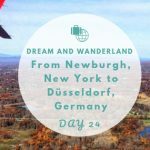 I guess there are little things that can make or break the experience for the traveler… For me, this city was Berlin but when I went there a 2nd and 3rd times I started liking it more and more. Sara, this is what I think too. I missed something which brings the flair or the atmosphere or the little special “it” to me. I´m sure if I give it another try I could like it more. Next time I also could try to discover more things off the tourist places. This would be more my favorite kind of travel. 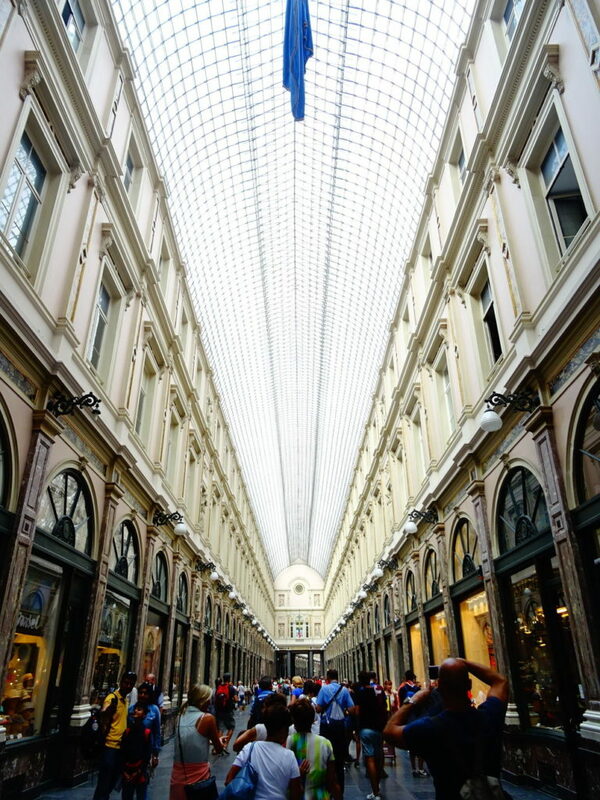 Nice photos and good to know the top 5 reasons to visit Brussels. 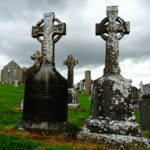 May we will plan to visit the place with family. Great information. I appreciate the honest perspective. We traveled The Road to Hana in Maui this summer. It’s supposed to be THE big thing to do. No, thank you. We weren’t impressed and it took nearly a whole day mostly spent in the car. It’s important to share the good and the bad so we can make informed decisions. Thank you! 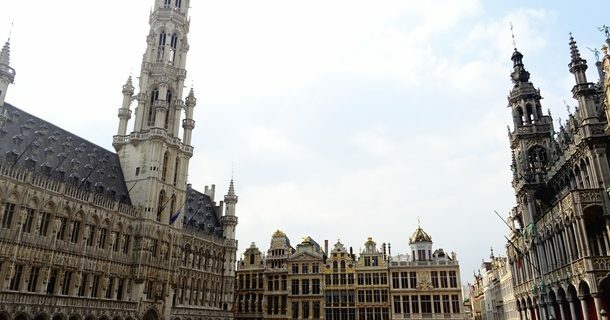 I loved Brussels. But I had one of the grossest waffles and ice cream experience there. Runny, mushy. How could anyone ruin such a treat – but this purchased at a cart mess – well – it was all over the plate and me. Thanks for the memory. I;m glad you gave an honest opinion of your trip, sometimes it’s a good idea to share the reality of things! 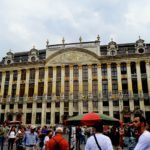 I did a weekend in Brussels and it went ok, however our hotel had bed bugs! Otherwise i think you def pointed out the essentials to check out in the city. I think it’s awesome that you are honest about the things you did not like. I think every city will have it’s charm but at the same time will have things that are not that great. Brussels definitely seems amazing and hope to see it someday, but I’m sure it has it’s negatives. I feel this way about Los Cabos in Mexico. Right now it’s a really hot spot, and although I thoroughly enjoyed it and think it’s a great place, I didn’t think it was all that or worth the hype and high prices. Prefer Cancun over it. But that’s just me. 🙂 Glad you still enjoyed the city. Thank you, Edith, for stopping by. It´s all about personal opinions, right? I love your honesty, when it comes to your experience. It is good for potential travelers to know what they might expect when they visit. Thanks for sharing! That’s an interesting experience in Brussels! I have heard different things about the waffles and apparently there are 2 different kinds, so maybe they do have fluffy waffles somewhere. That architecture is beautiful though! Hi Julia, this is what I believe. I just took the wrong Waffles shop, hopefully! 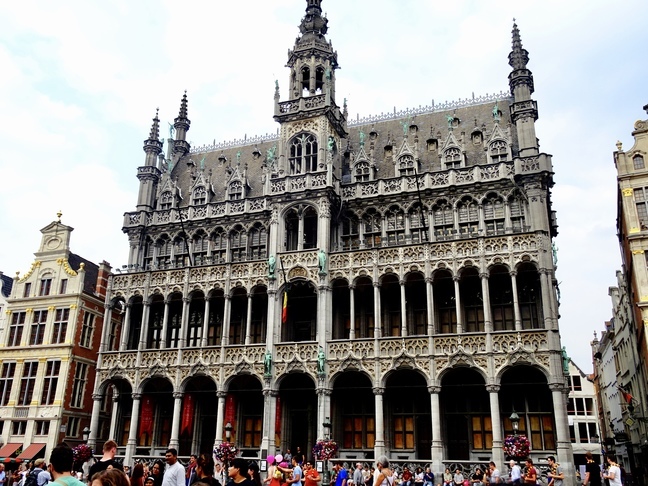 I have never been to Brussels, would love to visit one day. Thank you Amanda. It´s always about finding a balance. 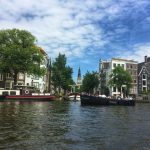 Of course, if you visit a city you will these packed places around the popular sites. 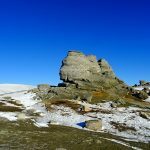 But if you have a little bit more time you have the chance to find other locations which are not that crowded and maybe even more interesting. Personally, I would never go not to a city because of too many tourists. But I need to prepare myself better of some locations off from the regular sites. Hi Bernadette, the architecture is indeed special. And the Waffles… I love to try everything regarding food and sometimes I love it and sometimes not. 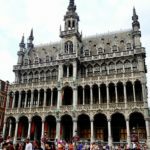 It´s definitely not the end of the world 😀 I really believe that I need to visit Brussels a second time only one day is good for a kind of orientation, where is what and to tick off all the regular tourist sites. But then on a second day, you can try to find the real stuff, the places where the magic happens like the chocolate museum for instance. Completely missed that and I love chocolate. So there is a lot of potential for another chance for me and Brussels. Its really sad when this happen to us (visiting the place w disappointment) but without this we cannot learn a lesson. As I believed lesson is one important to consider too though its quite bad but our next travel will be great for sure. That´s right. We always have the chance to learn something and make it better next time. 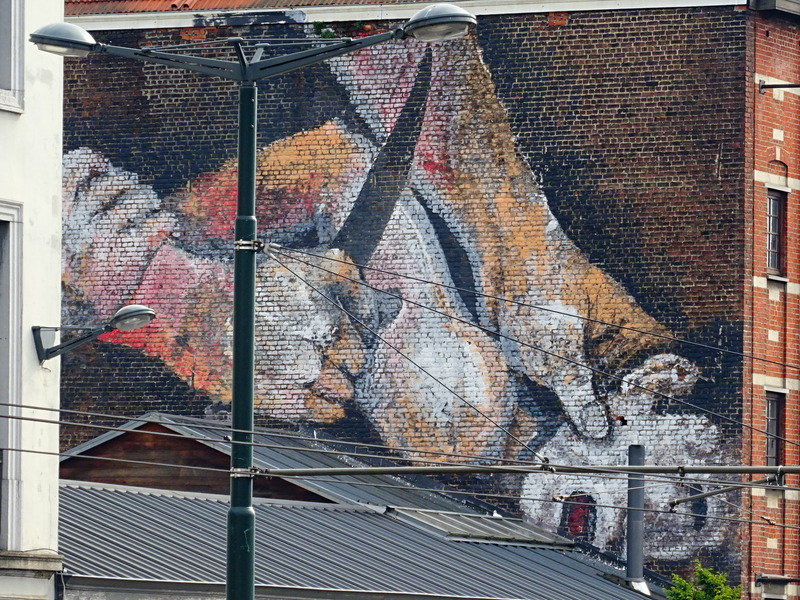 I had no idea comics and murals were a thing in Brussels! I’ve visited a few places over the years that didn’t charm me even though I expected them to. I’ve always wondered if it was the time of year or the time in my life…what was I missing type of thing? Glad to know I’m not alone on that feeling. Yes, Angela, You´re not alone and me neither… puhh… and I haven´t expected the comic thing either. 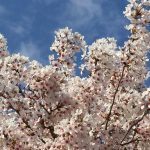 I loved reading about your experience in Brussels. I personally liked the city when I visited. And I do recommend trying a Waffle Factory waffle…so good, in my opinion! I guess the city had the opposite effect on me…something about it just caught my attention. But I do know what you mean. London was that city for me, but I plan on giving it a second chance one day! Larissa, you´re so right. I should have given the Waffle Factory a chance! And if I have a chance again to go back to Brussels I definitely will try the Waffles there. I´m a fan of second chances. Thank you for stopping by! Thanks for telling so much about the place. You´re welcome! Thanks for stopping by!